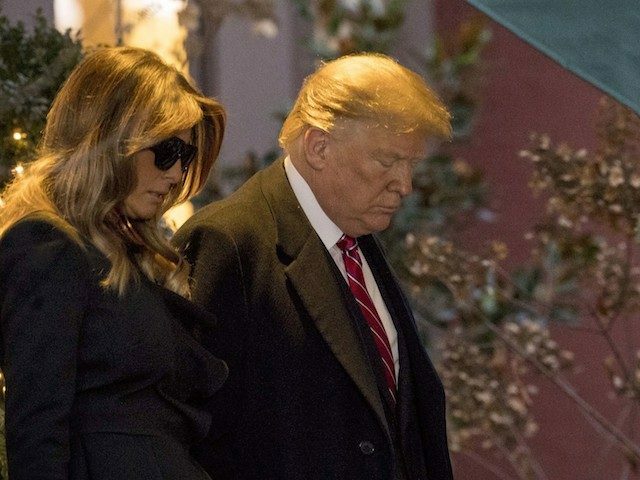 President Donald Trump recognized the national funeral for former President George H.W. Bush on Wednesday. Both President Trump and First Lady Melania Trump will join the Bush family, the Clintons, the Carters, and the Obamas for the funeral which will be held at the National Cathedral in Washington, DC. Former President George W. Bush will deliver the speech memorializing his father. The Trumps visited the Bush family Tuesday evening at the Blair House across the street from the White House. Jeb Bush, Trump’s former rival for the Republican nomination for president expressed a similar sentiment on Tuesday. “This is a time to celebrate George H.W. Bush, not to grieve his loss, and that’s what we’re doing as a family right now,” he said during an event in Washington, DC on Tuesday. Jeb Bush added that Trump “couldn’t have been nicer” to the family after his father’s death, thanking them for the “gracious” hospitality.